The connections between certain colours and industries are revealed in this infographic. One of the most fundamentally important things to keep in mind when creating a piece of branding or logo design is the choice of colour. This is because behind each colour there are a set of associations which will communicate a subtle message about your business identity, as this infographic reveals. Created by Builtvisible for Towergate Insurance, this vibrant infographic looks at the spectrum of colours in turn and demonstrates their connections to certain industries. For example, red is seen as an attention grabbing, hunger stimulating colour, making it the perfect choice for a fast food chain like McDonalds. Meanwhile blue is often associated with clear communication, so it makes sense that a company such as Nokia would use it to represent their brand. 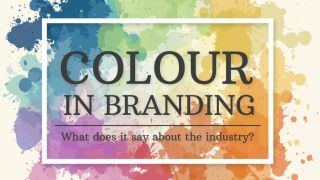 So if you're unsure how to present your industry in a logo or piece of branding, be sure to read the infographic below and see how the choice of colour will reflect your identity.